15:55 – President Mnangagwa ends his address. 15:50 – ZEC is an independent organisation, government has no say in their decision they only deal with parliament. We have nothing to hide, we are transparent, for the first time around we have opened space. Observers, welcome them nicely, they should understand that Zimbabweans are mature they know what they want. 15:48 – Will continue supporting Chiefs. 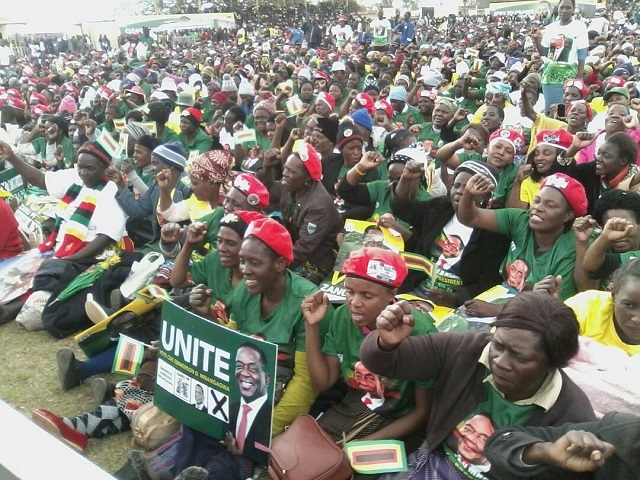 15:12 – President Mnangagwa starts his address by chanting party slogan calling for unity. He applauds people for coming in numbers saying he came to Kadoma courtesy of an invitation by Zimplats to commission the recently refurbished general hospital. 15:08 – After taking to the dance floor with his entire entourage, President Mnangagwa takes to the podium. 15:05 – Cde Chris Mutsvangwa now giving a brief background of President Mnangagwa. He President Mnangagwa was special advisor during the liberation struggle, a legal advisor at the Lancaster House conference. 15:02 – Cde Ziyambi is now introducing aspiring candidates to the President. 14:58 – Mashonaland West chairman Cde Ziyambi Ziyambi thanks the President for the visit. He says in 2013 Kadoma had the highest number of presidential votes in Mashonaland West. He also said this year they promise more votes for ED and the party. 14:50 – Official proceedings begin with the singing of the National Anthem. 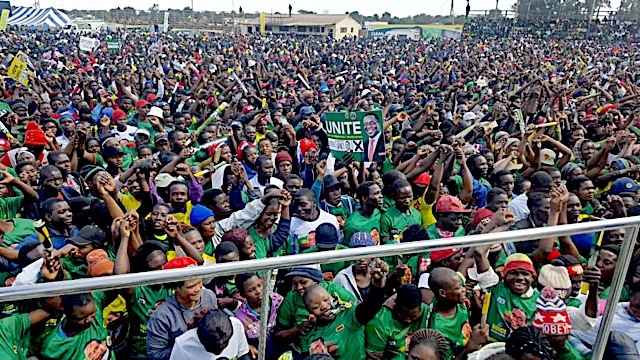 14:45 – President Mnangagwa has arrived at Rimuka Stadium to address a mega rally.The stadium is fully packed, with people currently dancing to Kutonga Kwaro.